To carry the balance of the weight in ammunition, of course! Volquartsen Ultralite .22 action in Blackhawk Axiom stock. The sight is a C-More attached sideways in a custom mount. Black Dog Machine drum with 50 rounds. And a Ruger 22/45 Lite with Burris micro red dot in a Tandemkross holster. 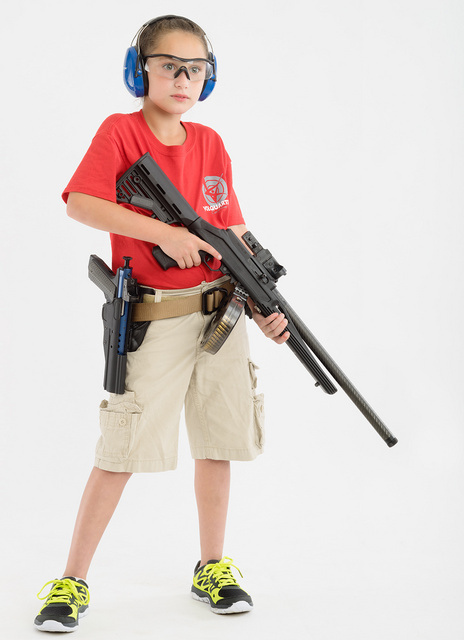 This entry was posted in interesting people, pistol, rifle, training, weapon and tagged 22LR, blue, child, girl, red, Volquartsen. Bookmark the permalink.